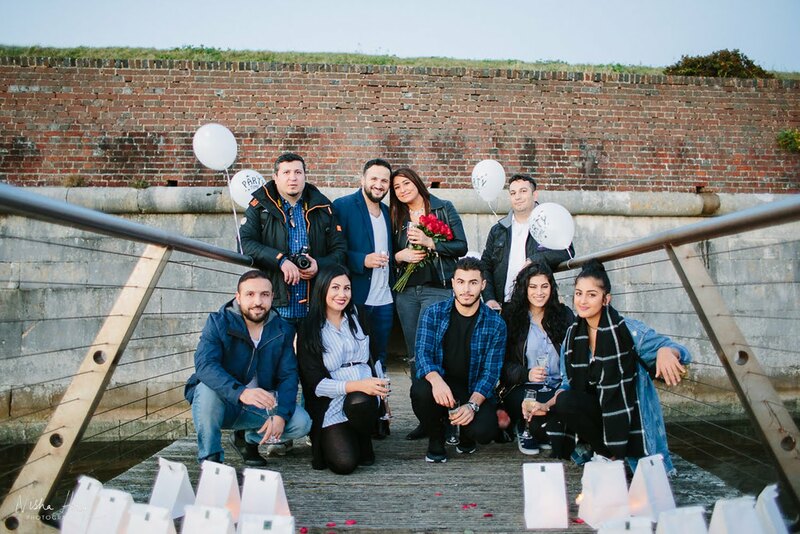 "Thank you so much for brightening our day even more ❤️"
On 16th October 2016, a wonderful thing happened in Southsea, Portsmouth... a proposal! 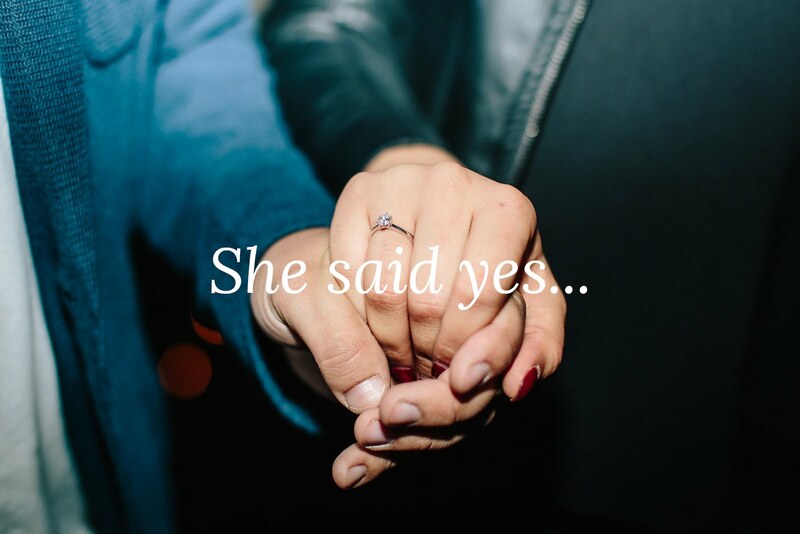 This is my second proposal I've been fortunate to photograph as it's amazing to witness the moment a couple become fiancé and fiancée. 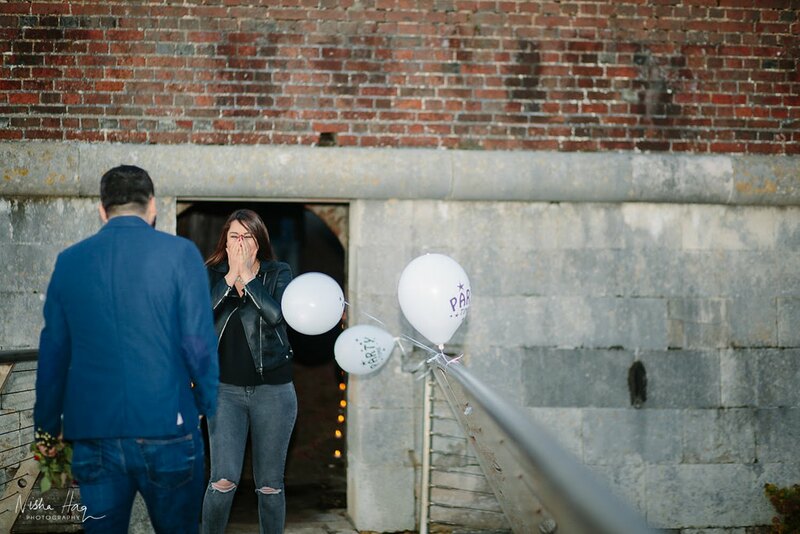 Capturing the overwhelming emotion is amazing and sometimes it's just nice to have the guy get down on one knee to propose to the love of his life. 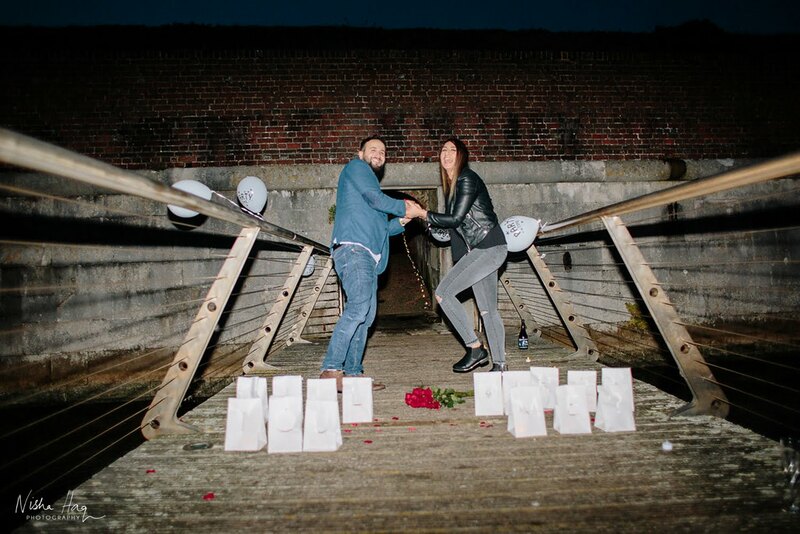 (I've seen a woman propose on one knee too which is pretty awesome too!). 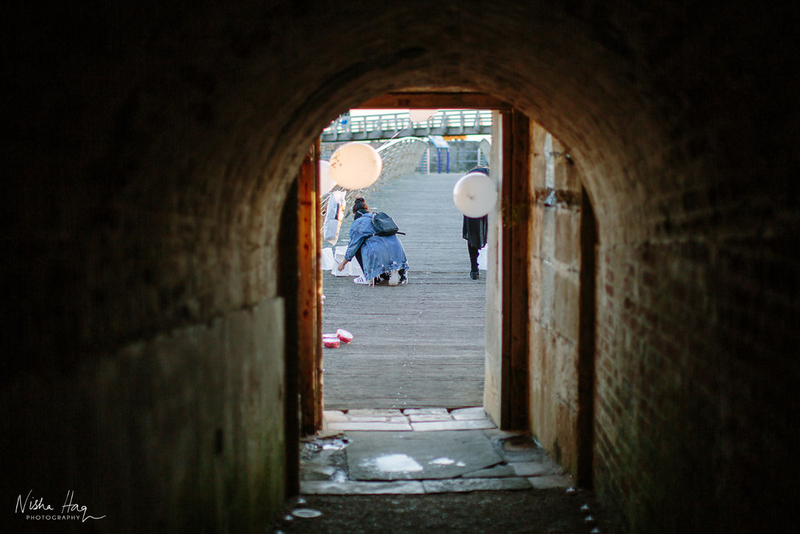 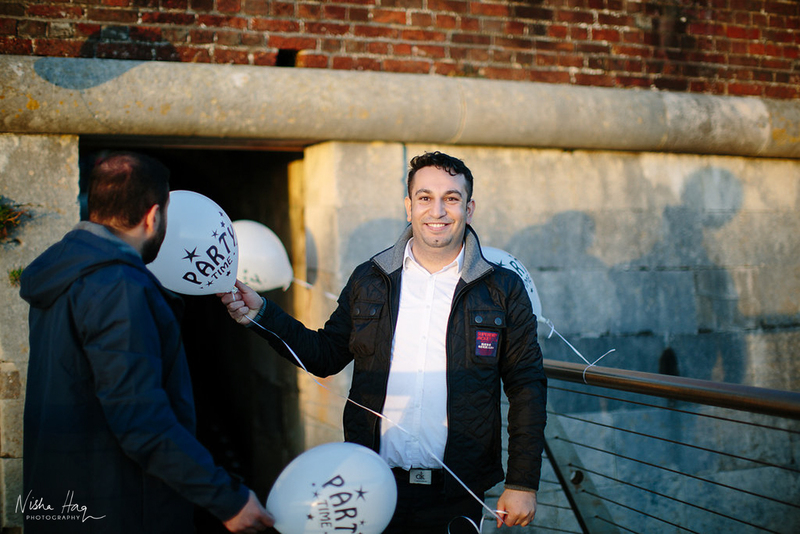 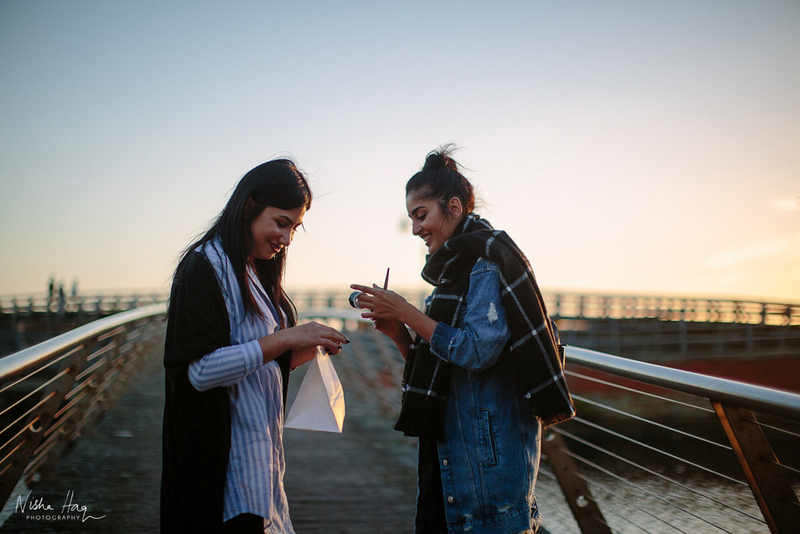 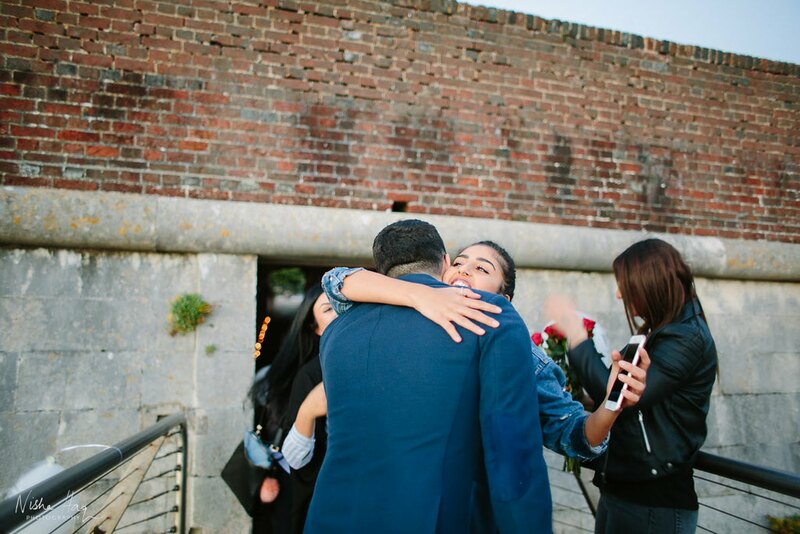 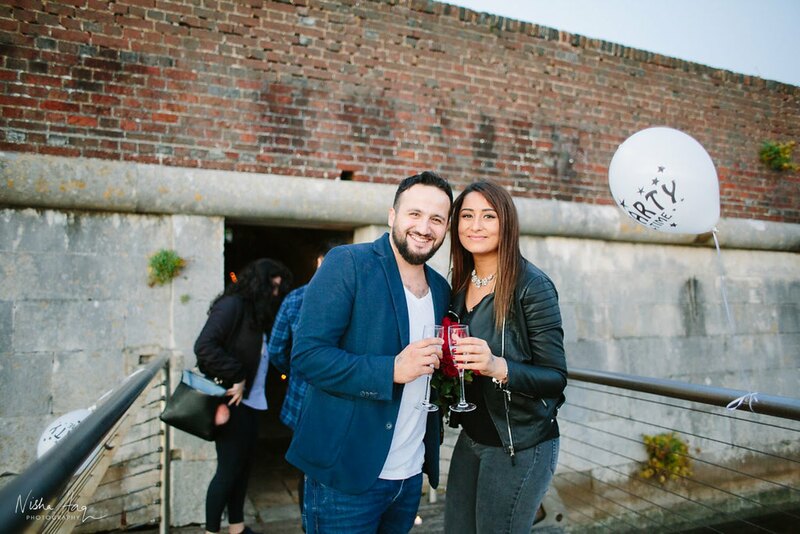 Faith & Eda are from London and travelled to the lovely seafront at Portsmouth for an autumn proposal. 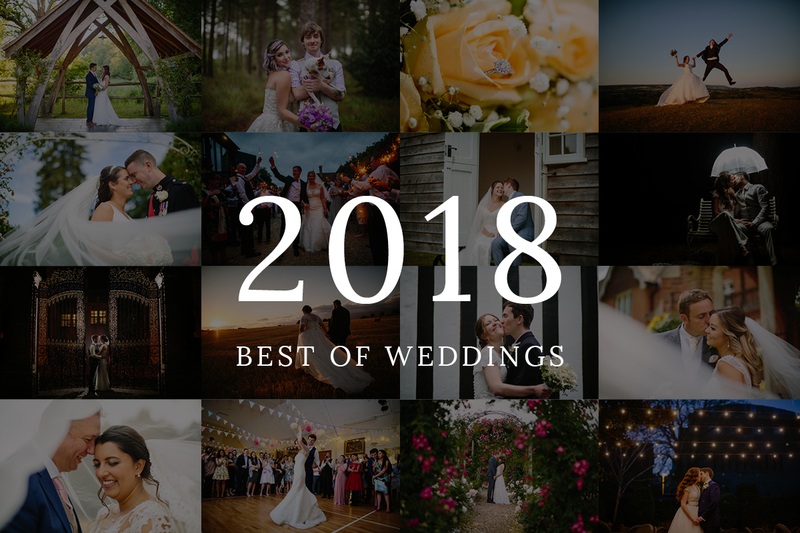 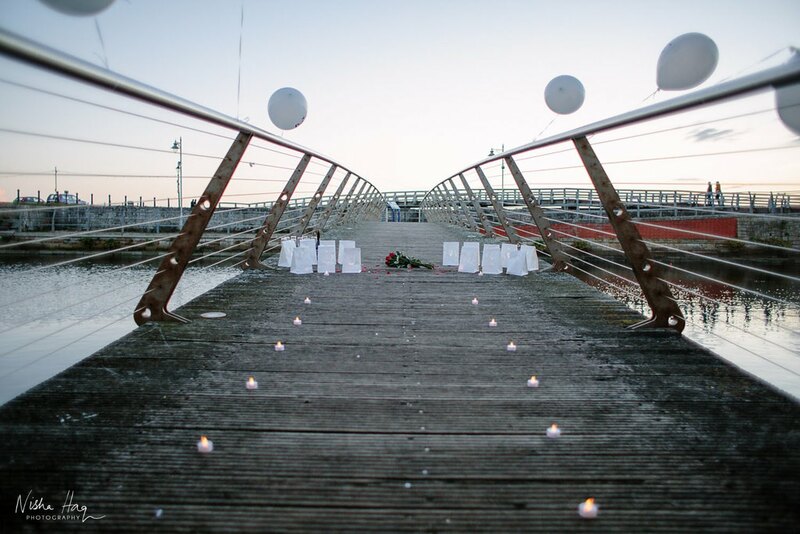 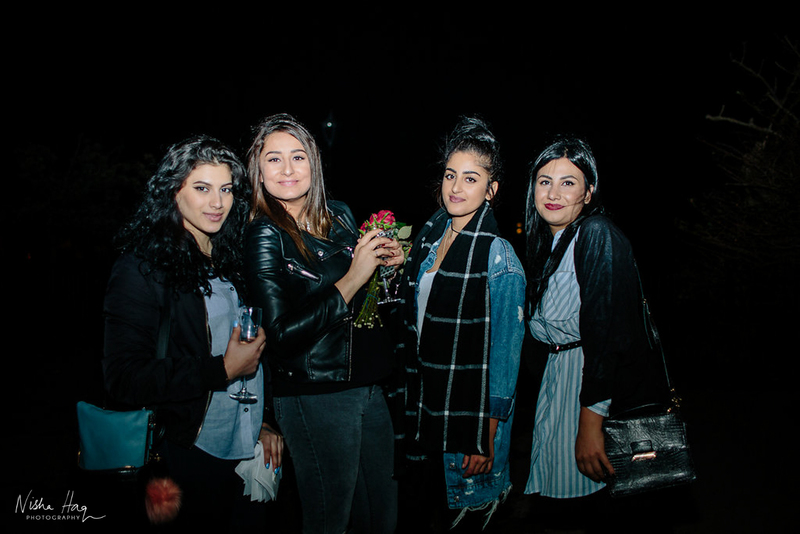 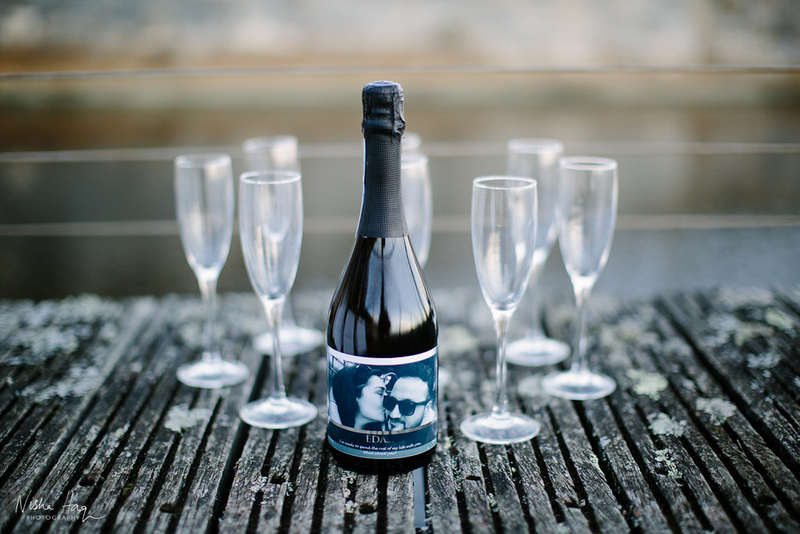 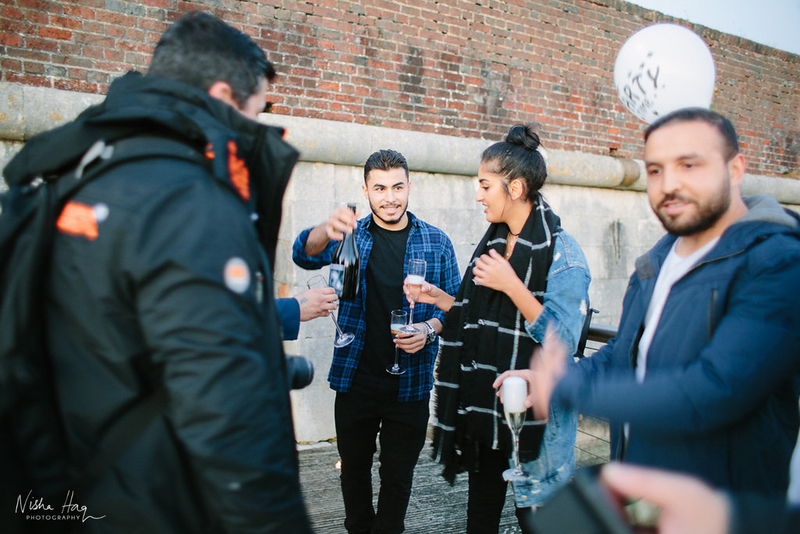 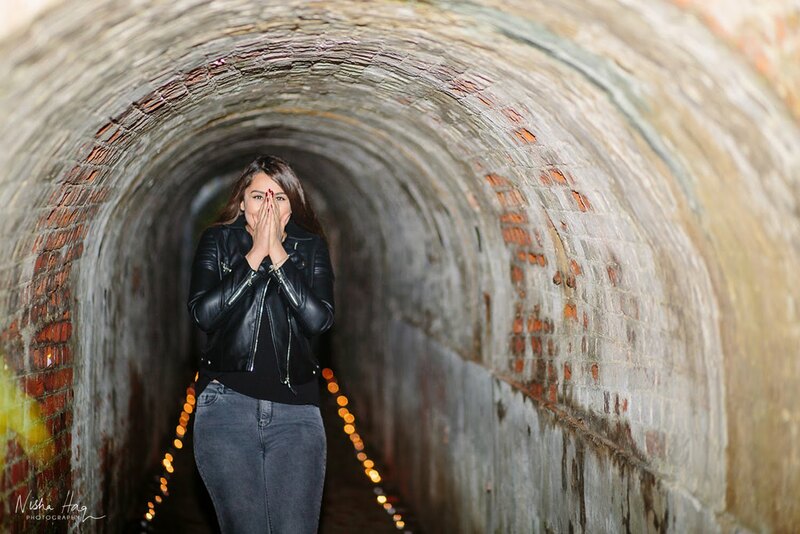 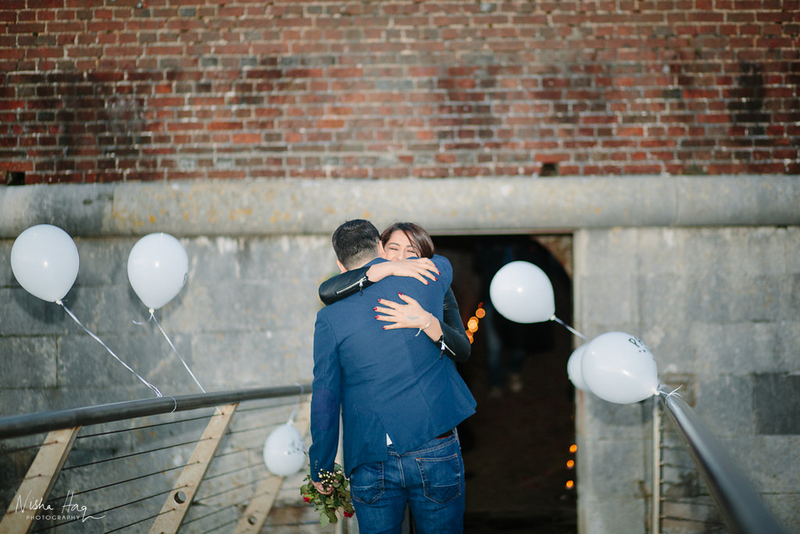 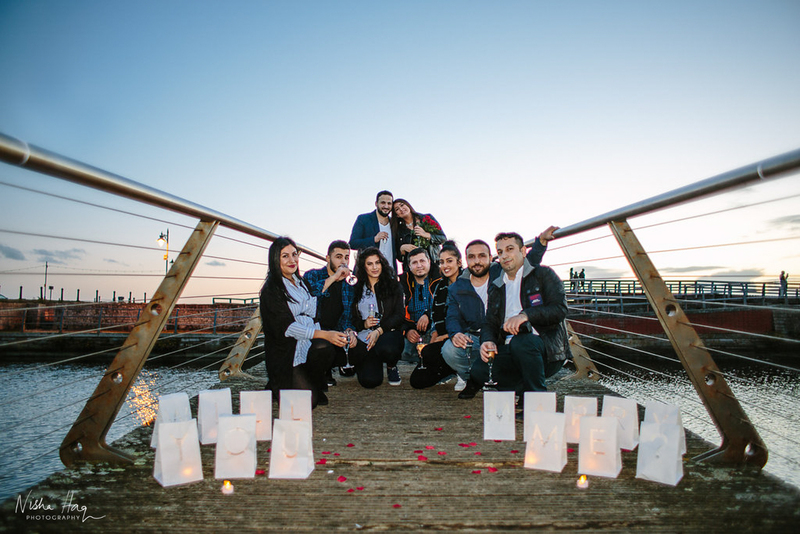 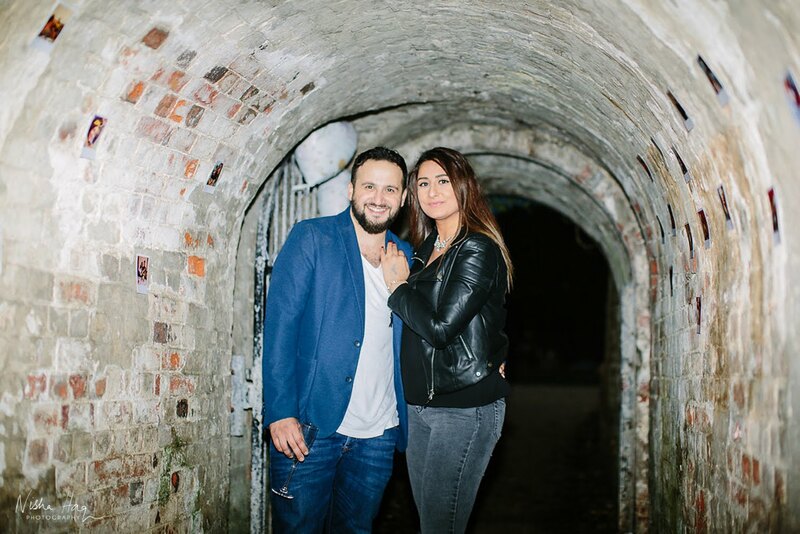 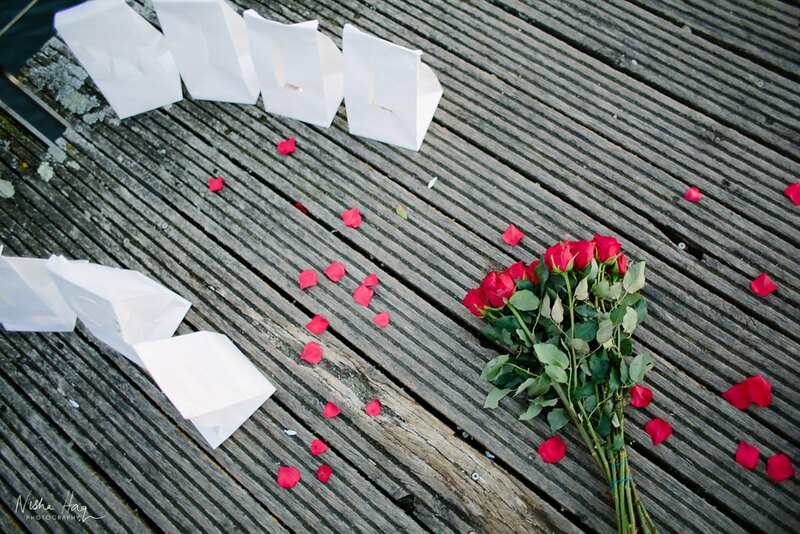 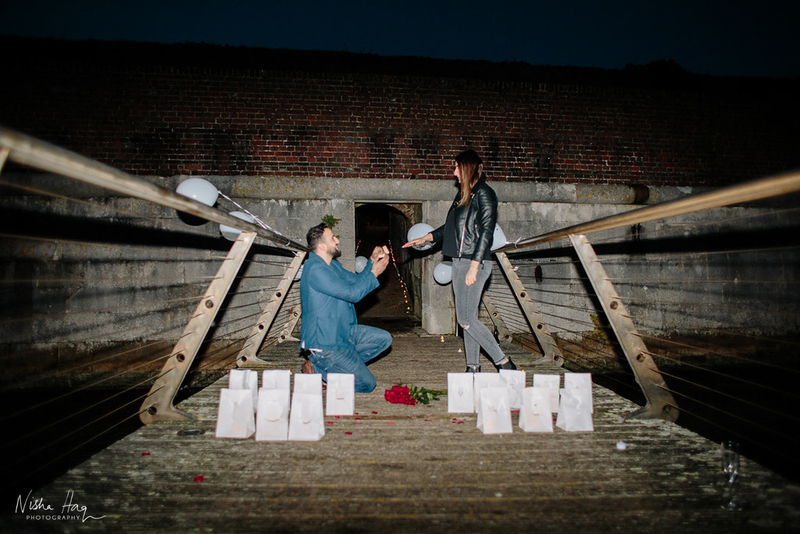 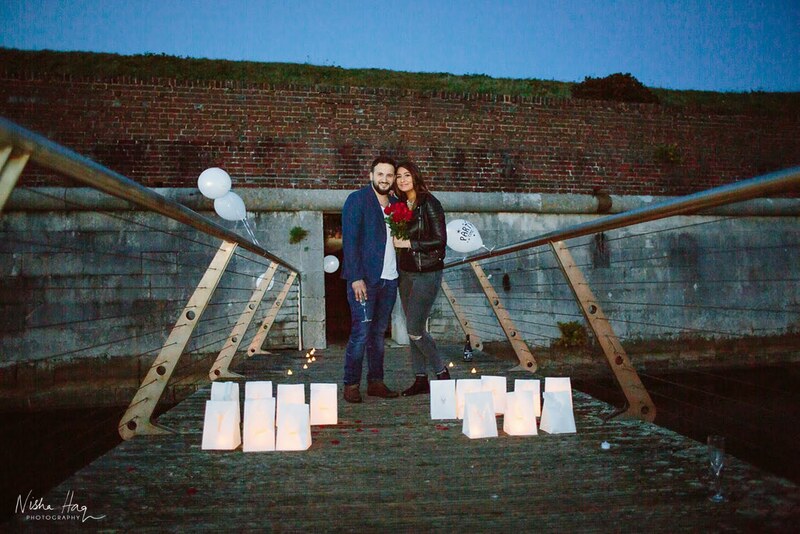 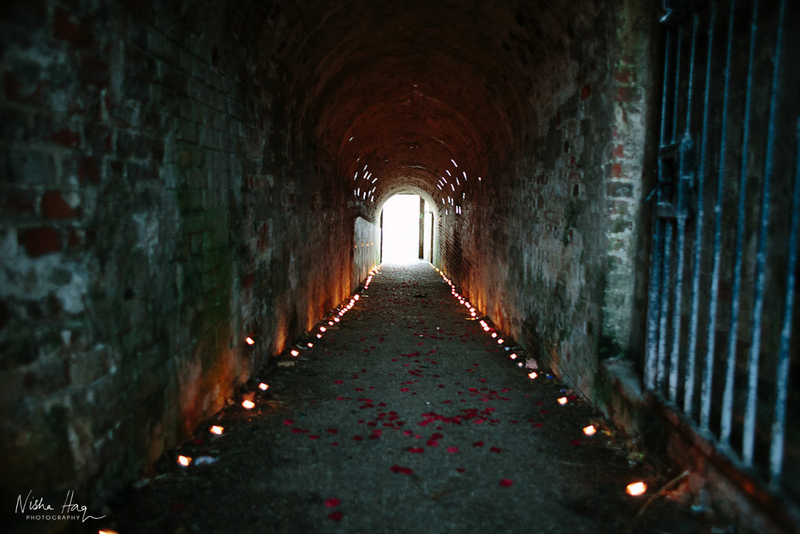 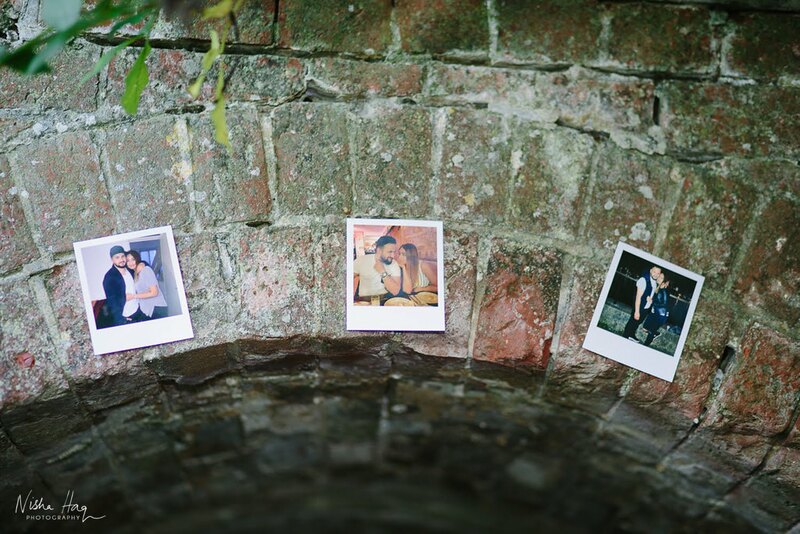 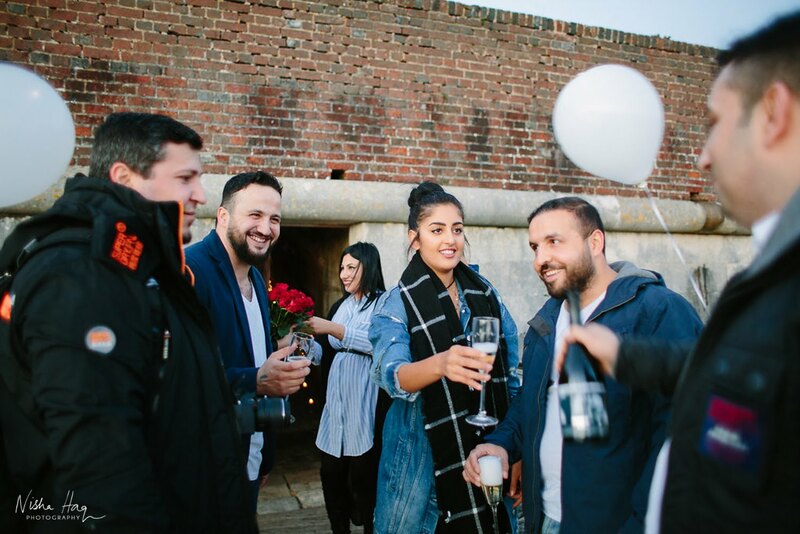 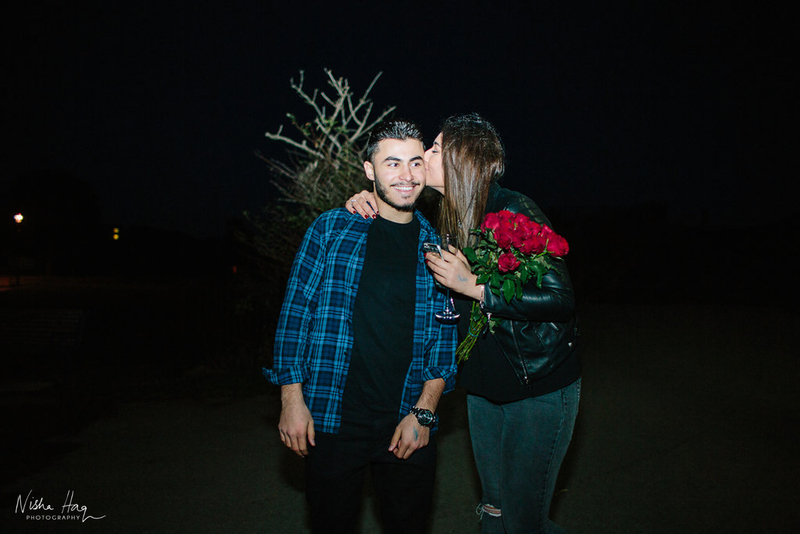 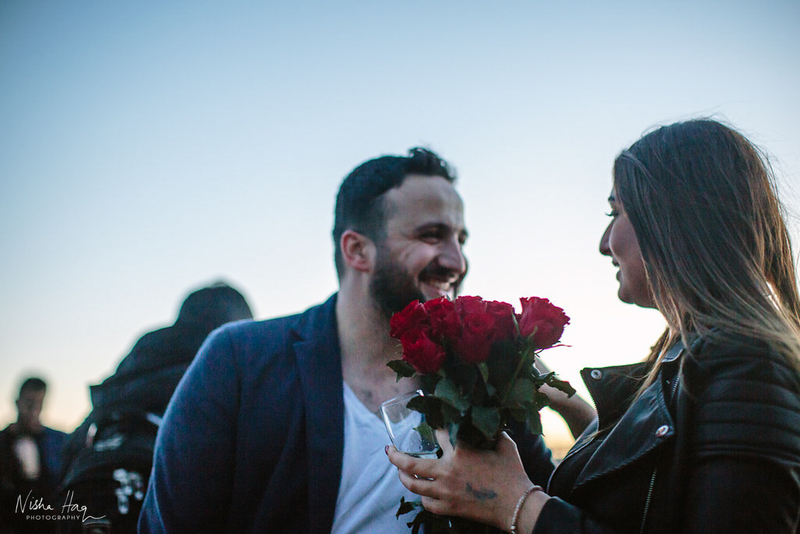 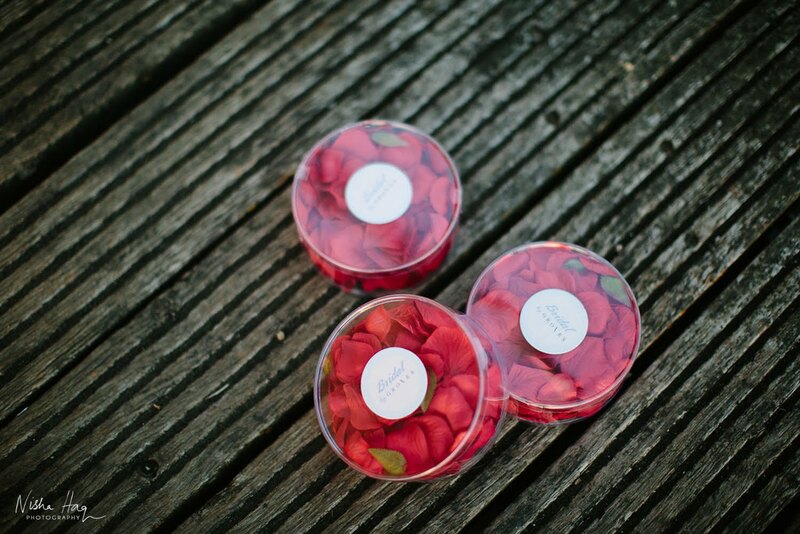 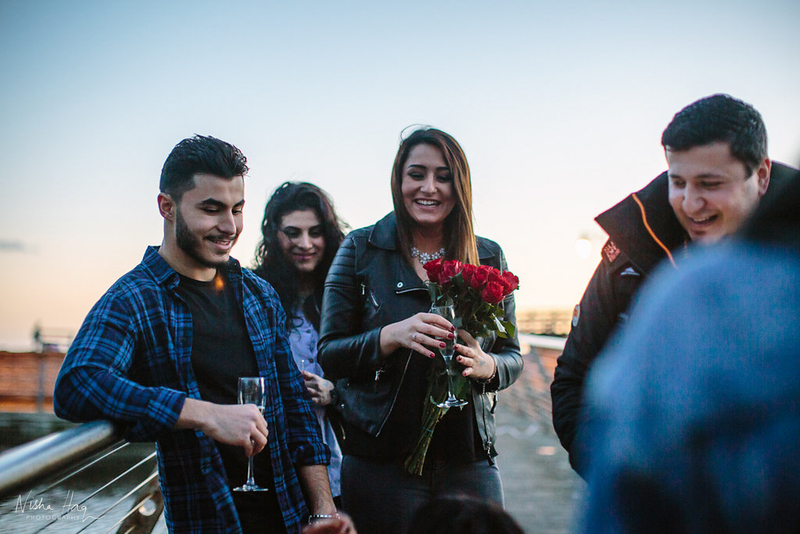 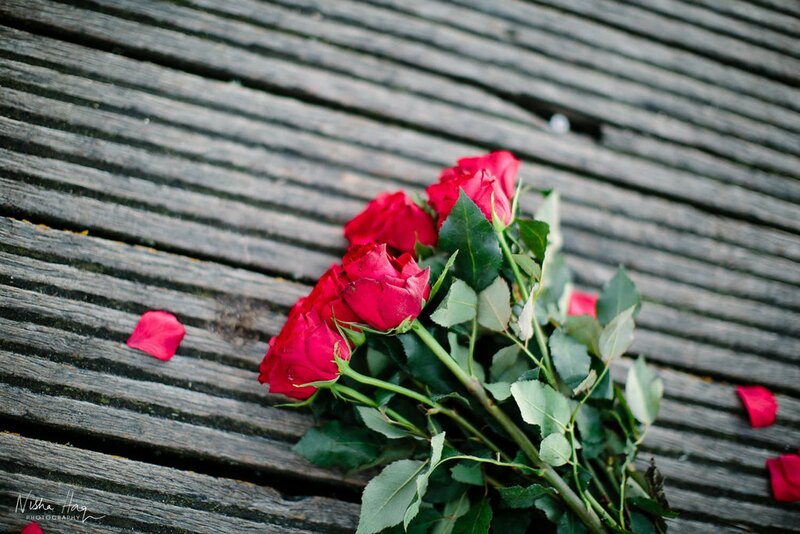 The sun was setting, tealights and instant photos lined a secret tunnel to the bridge and a bouquet of red roses and personalised champagne bottle, and not to forget, a beautiful diamond engagement ring at the end waiting for Eda - it couldn't be more romantic! 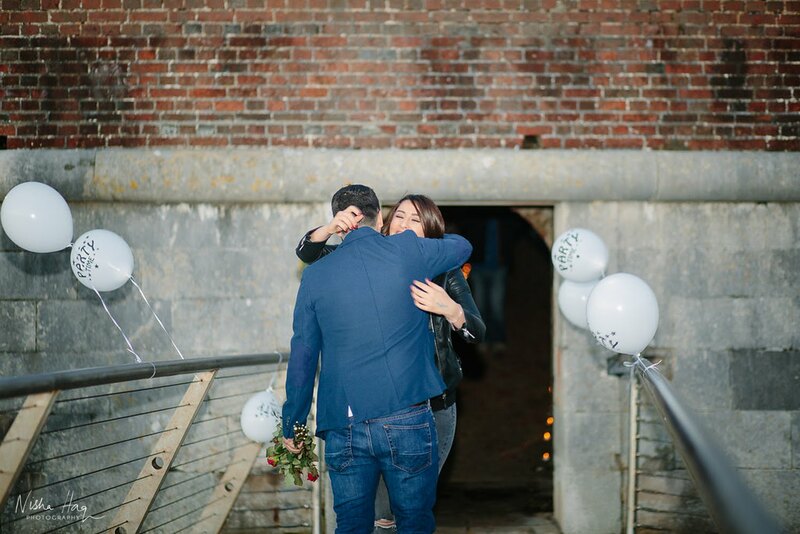 Their friends and family had organised putting all the decorations before their arrival and I'm happy to say it was all worth it as she said...YES! 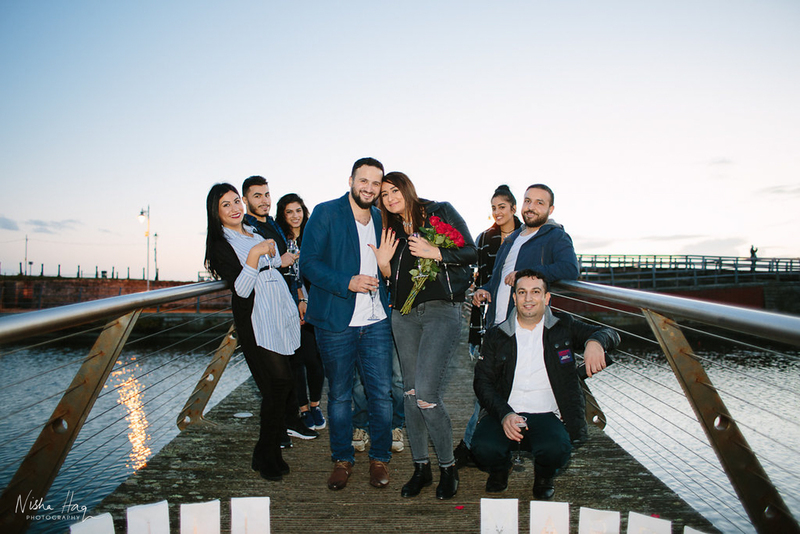 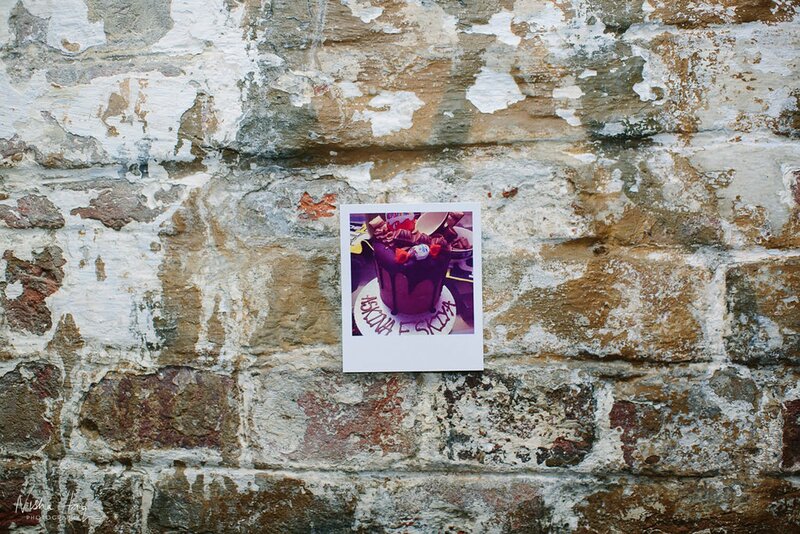 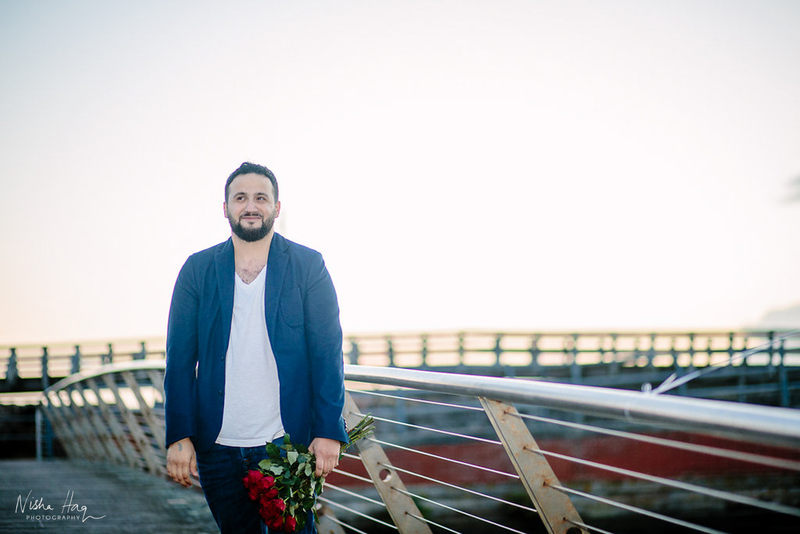 Thinking of having photographs of your proposal? 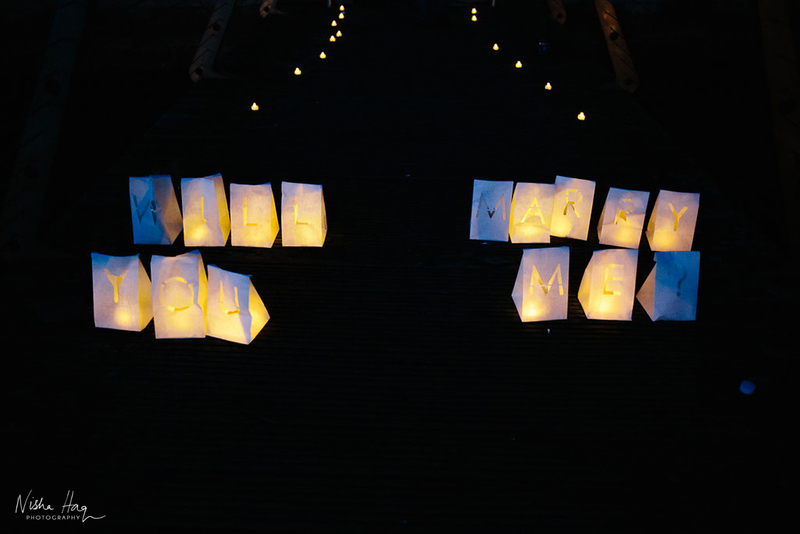 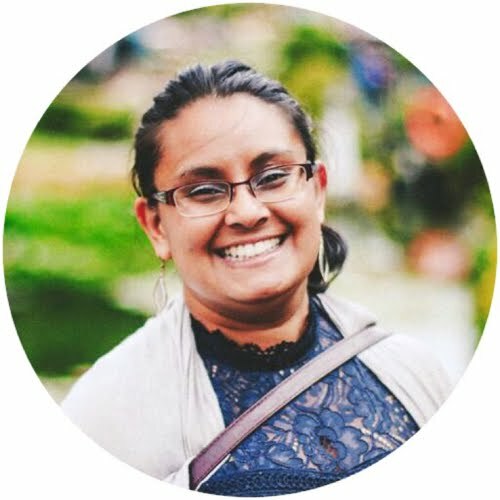 Get in touch and let's discuss your amazing ideas!